Pioneer Magnetics, Inc. is the penultimate leader in switch mode power supply manufacturing. 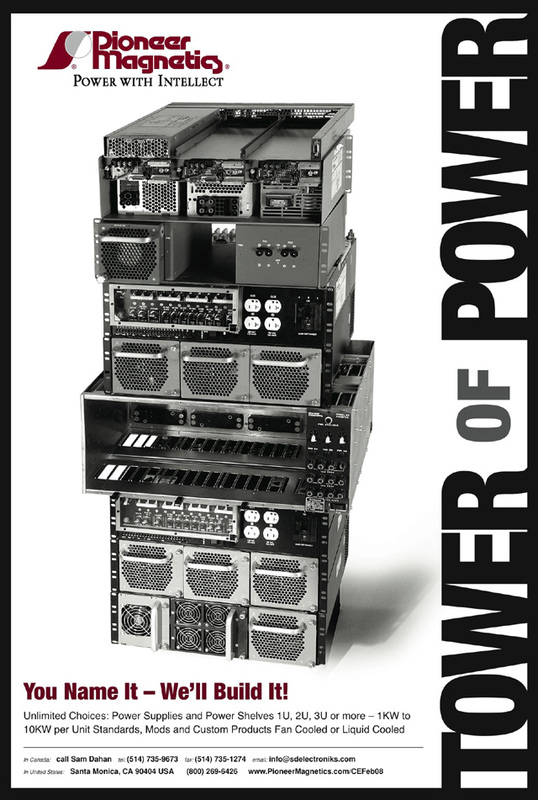 Pioneer Magnetics, Inc. specializes in high-power - Low Profile switch mode power supplies or 1U Power Supplies up to 4000 watts. Pioneer Magnetics’ AC-DC, DC-DC, rectifier and inverter technology is widely respected throughout the power supply industry. Our highly trained staff of application engineers are waiting to take you calls today. We would definitely urge you to contact our sales team by calling - 800-269-6426. Or you can view our switch mode power supply catalog on line 24/7.